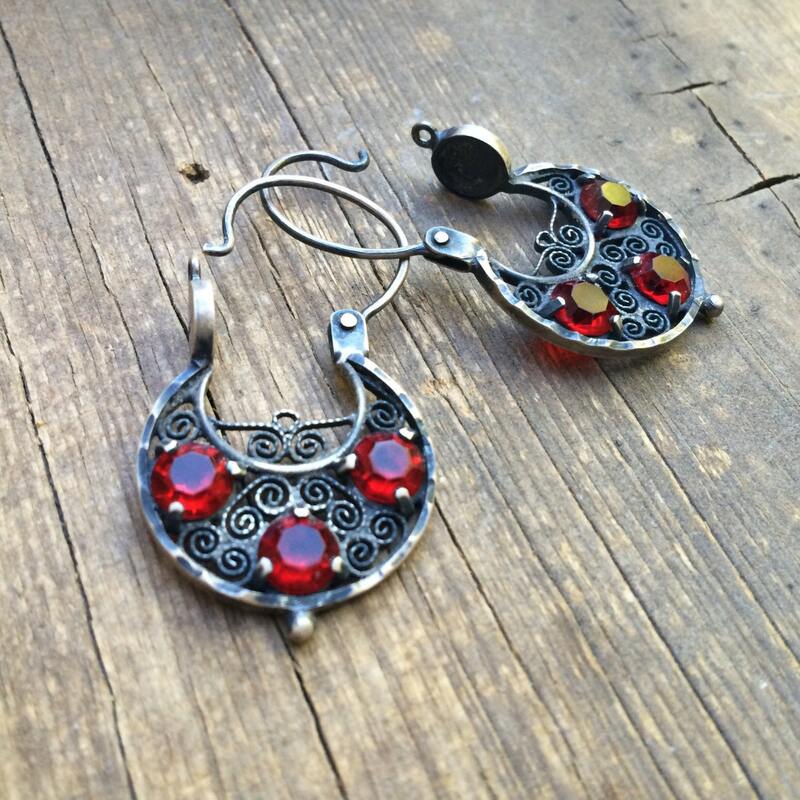 Here we have a Mexican arracada hoop earring made of coin silver and each with three deep red glass rhinestones. 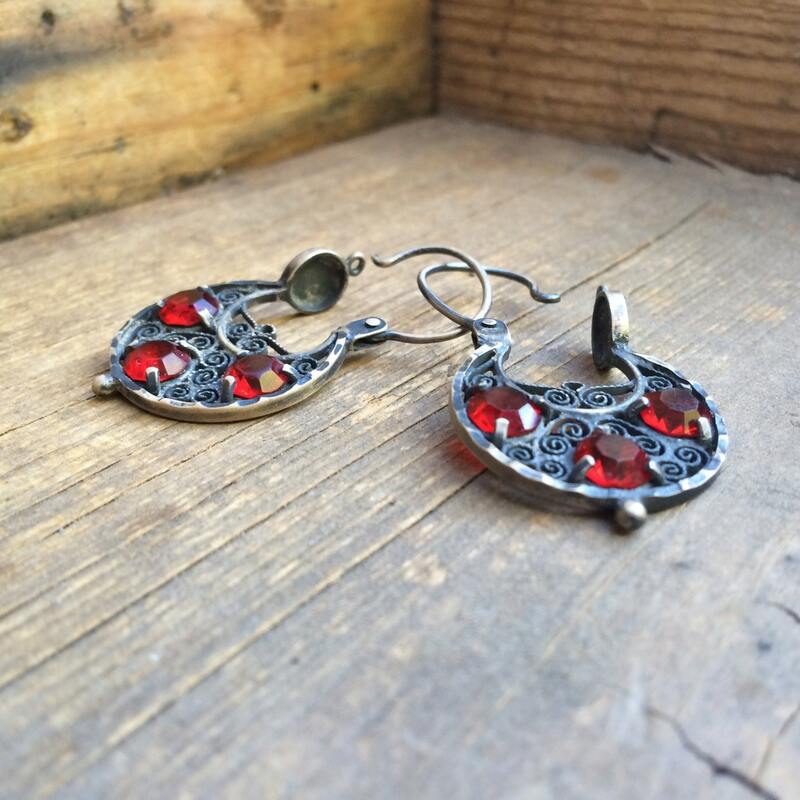 The earrings feature a front-to-back closure along with lovely dark patina. 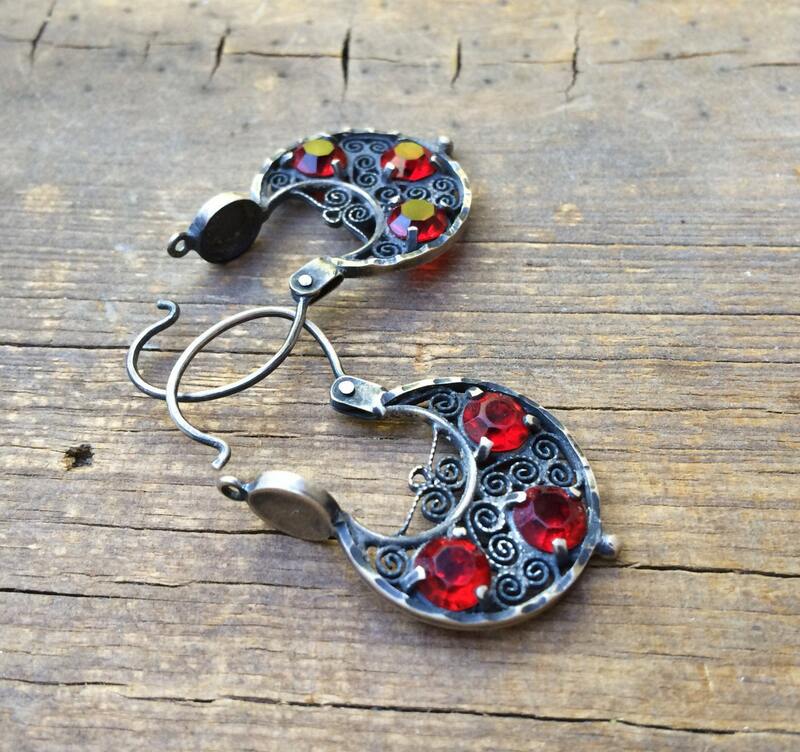 The arracada--or crescent--is one of the most common shapes of earrings in Mexico, worn by many women. 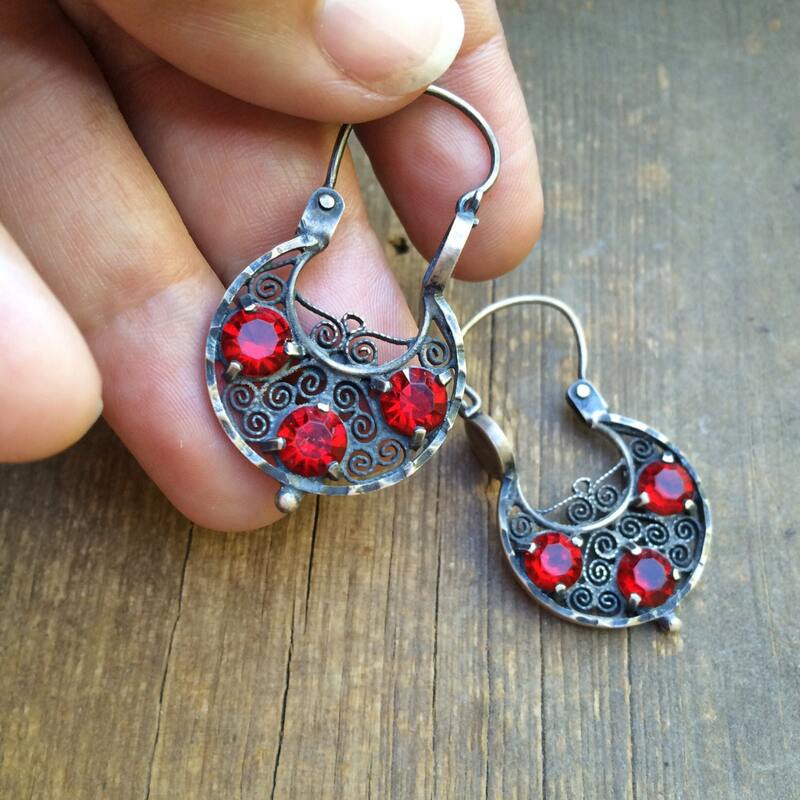 It is in some regions tradition to give arracada earrings to young women celebrating their quinceañeras (15th birthday). 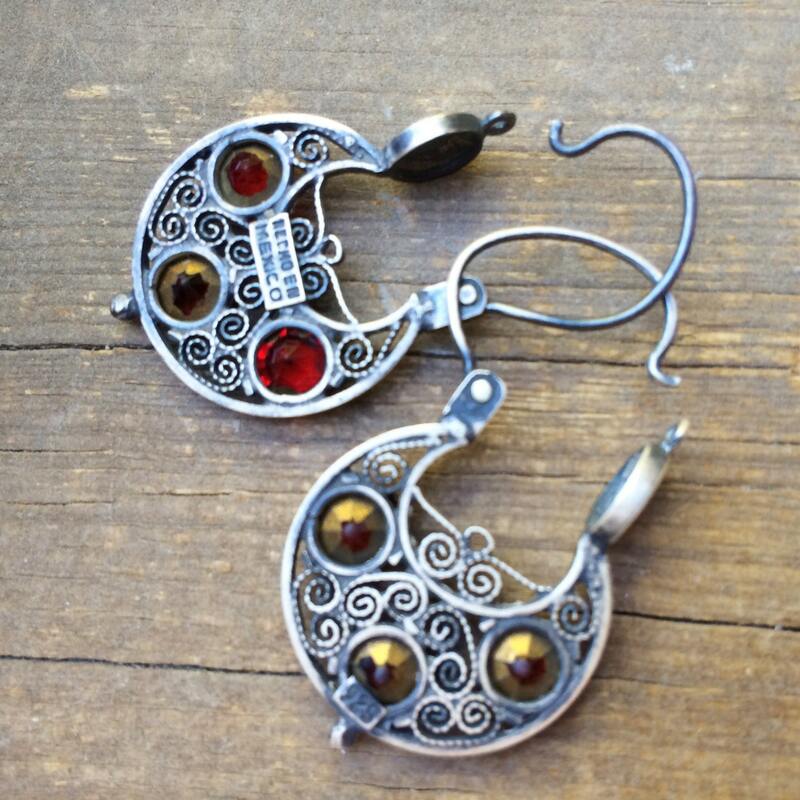 Arracada earrings are meant to be visible from the side, so that other people can admire your gorgeous adornments. Each measures just under 1" across at the widest point, and about 1" long not including the hook, and 1-1/2" long with the hook. The closure is in great vintage condition, and on the back of one of them the stamp Hecho en Mexico. The film backing the rhinestones has rubbed off in some cases but otherwise in great vintage condition. Classic red, classic shape, classic Mexico!